5030 ft (1533 m) . 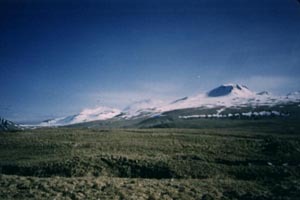 Korovin Volcano is situated on the northern tip of Atka Island, on the northern rim of the ice-filled and heavily glaciated Atka Caldera. 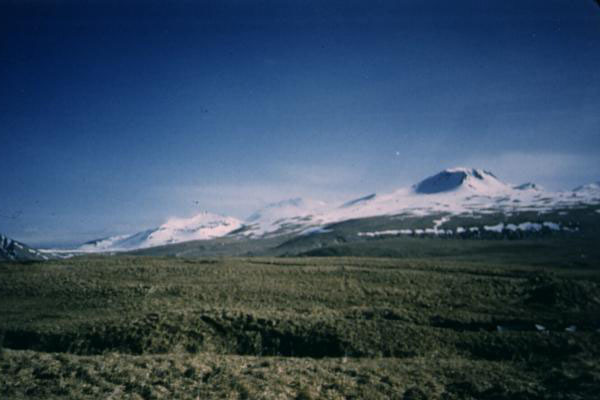 Several other prominent volcanic cones ring the caldera, including Kliuchef and Sarichef, and all three of these have had historical eruptions, with Korovin the most active. 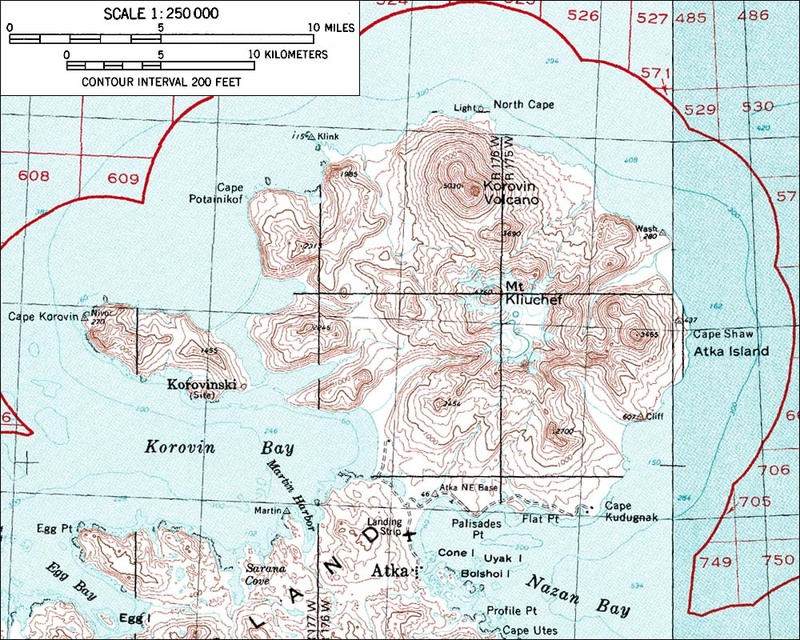 Atka Island has a native village at Nazan Bay, south of the caldera, with a harbor and landing strip with occasional service from Dutch Harbor (Unalaska). 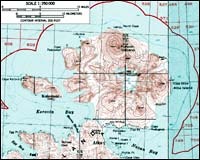 Thus access to Atka Island is much easier than most of the outer Aleutians, although any visit requires permission from the native village.